Hello Ladies and Gents. 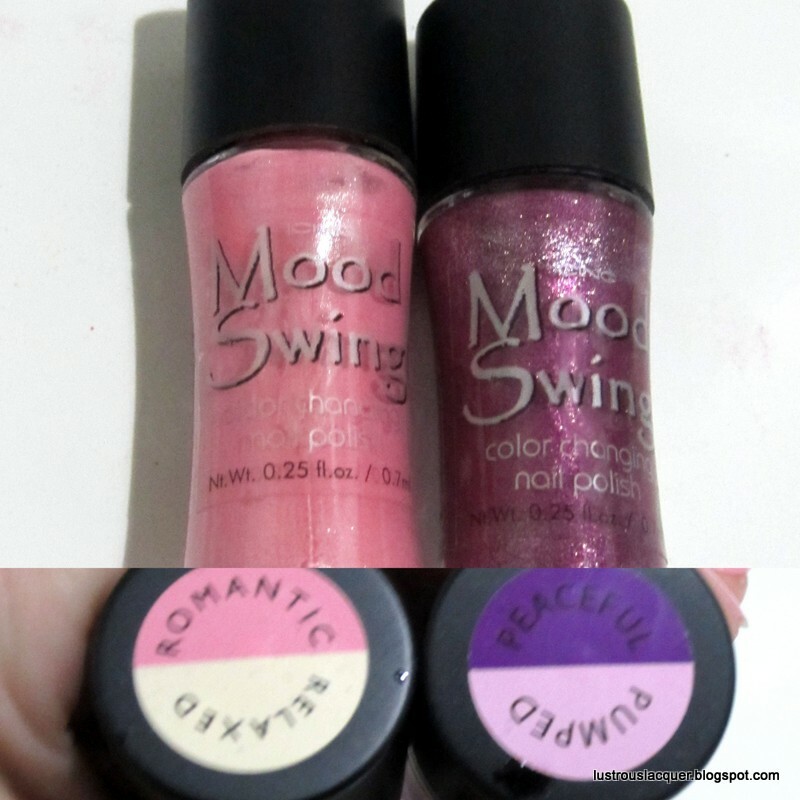 Today I have a quick NOTD post for you featuring Mood Polish from Icing. I snagged these two polishes off their clearance rack about 6 months ago and knew it was time I gave them a try. I don't know why it took me so long to try these, I mean who didn't have fun with mood rings growing up? I've had more fun than I probably should have over the last week, looking down at my hands to see what color the polish was. I have to say that the color shift in the polish had nothing to do with my moods. I was not feeling romantic and peaceful most of the time. I wanted to show you what the colors were supposed to shift to as my body temperature changed. Also, these polishes have no names or number codes on them. If you happen to find them still in stores you'd have to go by the names on the top. Application with both polishes was smooth and even. The lighter color (romantic) needed 3 coats to be fully opaque, the darker color (Peaceful) was almost a one coater, but I used 2 for my mani. I was originally going to go without any nail art for a change but it didn't look right to me. At the last minute, I added a few dots in opposite colors and I'm glad I did. 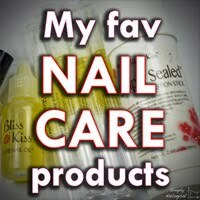 This simple manicure has gotten me more compliments and comments than the last 4 I've done combined! I had a hard time getting a picture of the color change for you. I guess I stay a constant temp when I'm sitting at home with my camera ready, and I might get a few strange looks if I whipped out my camera at work and started taking pictures in the middle of the sales floor. Although that did cross my mind. lol That being said I finally got a picture after 5 days of wear so please keep that in mind for this next picture. As you can see this polish held up pretty well after 5 days but there is some tip wear and the polish on my middle finger has a nice little crack in it. I must have been having a rough week since it didn't occur to me to use my hair dryer to get a picture sooner. *facepalm* A duh! The darker polish (peaceful) never did shift color for me. I'm not sure if it was because of the top coat or the polish. I have the same amount of top coat on all my fingers though so I don't think that's really it. Maybe I just wasn't feeling very pumped this week. 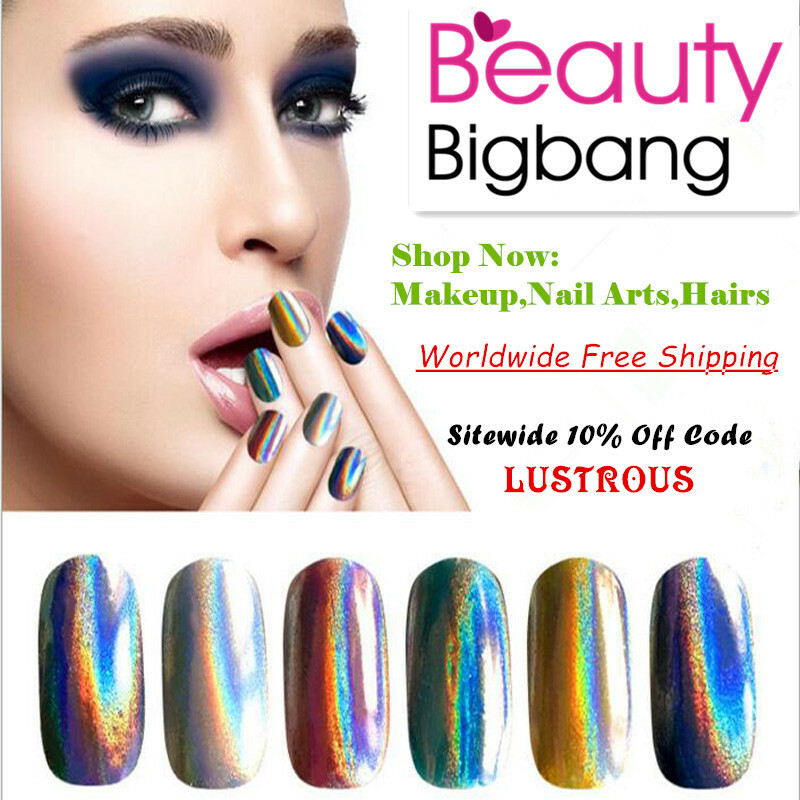 What are your thoughts on color changing polish? Do you think it's a passing trend or will this stick around for a while? Id this something you would wear yourself? Thanks =) And thank you for taking the time to check out my blog. Do you have a link to yours? Id love to check it out. Im not sure if Im following you already or not. I had a lot of fun with this polish. I even had coworkers asking me what color they were. Thanks for reading my post and the nice comment.